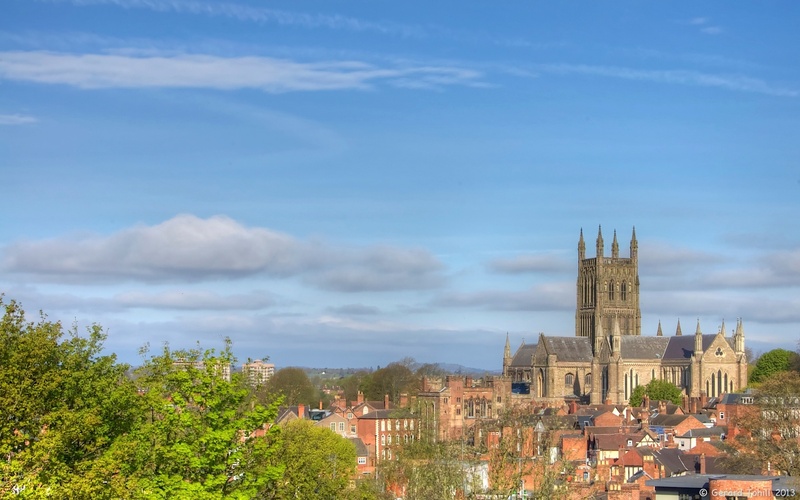 Fort Royal overlooks the city of Worcester and is a great viewpoint from which to photograph the cathedral in the morning. Fort Royal has a commanding position, and was fortified by the forces of Charles II in 1651 because in the earlier siege of Worcester in 1646, the roundheads used the position to devastating effect, positioning their cannon on the hill and bombarding the city walls. In the battle of Worcester in 1651, Charles positioned himself in the cathedral tower, and watched the course of the battle from there. It’s a peaceful little park now, with joggers and people walking their dogs. ← Eyes in the Wall?